Grab & Go Hoop Packs - hoops are an age old classic that are sure to get everyone having a go and having a whole lot of fun in the process! Hula Hoops from the 50's were small colourful plastic tubes made primarily for children to play and exercise. Today, hula hooping has come full circle. Children still love them and adults have begun using stronger, larger, heavier hoops for fitness and fun. 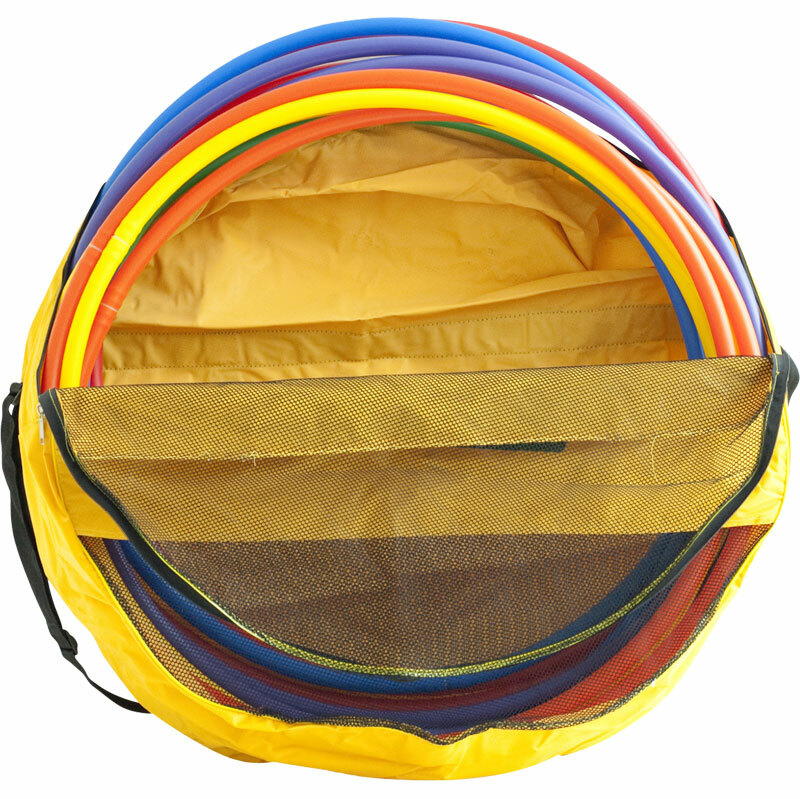 As well as building many core skills such as sport ability, coordination and creativity to name a few, these accessible handy hoop packs can also be used to exercise over 30 core muscles, improves balance, flexibility, dexterity, tones and reshapes the abdomen, buttocks, and legs with regular use and provides an alternative to going to a gym for example making them accessible to people of all ages! 2. Use as a giant Frisbee! A simple bag of 12 sturdy plastic hoops in a range of colours can be handy for all sorts of activities. Maybe you use them for training within your sports clubs, as targets for fun games, to help with team activities, skipping with them or just for hoola-ing, the bag keeps them safe and easy to store. Hoola-ing can support coordination skills.